Lakeside Medical (Pembroke Pines) - Book Appointment Online! 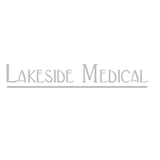 Lakeside Medical is a medical facility with a reputation for excellence. It was founded by a group of physicians specializing in Family Practice and Internal Medicine that have been working together in the Pembroke Pines area since 1999.